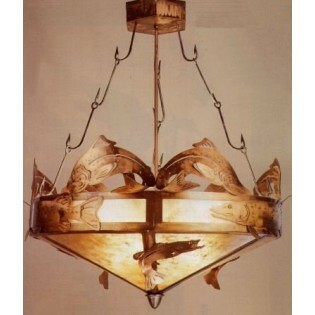 Jumping fish surround this Catch of the Day Fish Chandelier that has an antique copper finish with silver mica panels. Made in the USA. 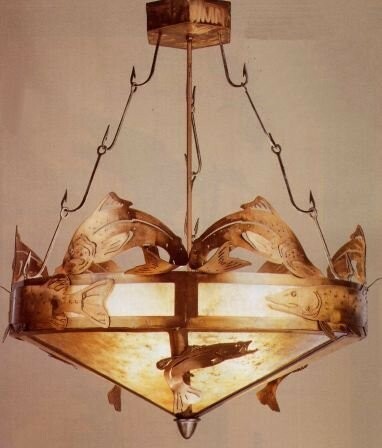 Jumping fish surround this Catch of the Day Fish Chandelier that has an antique copper finish with silver mica panels.